Offering you a complete choice of products which include hotel table legs lht - 465, hotel table stand lht - 460, hotel table stand lht - 474, hotel table stand lht - 462, hotel table stand lht - 472 and hotel table stand lht - 457. 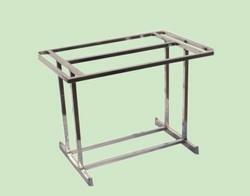 We are the leading supplier of Hotel Table Legs LHT - 465 made from high quality material at competitive prices. Price as per photo. 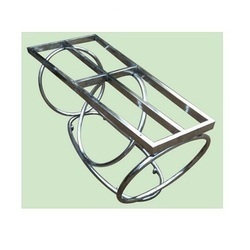 Table standcrome finish. Table Top choosen by you.1. Granite top 170 per sqft,2. 18mm Plywood top 190/- per sqft.3. 36mm plywood top 240/- per sqft. 4. 12mm glass Top170/- per sq ft. 5. Pine wood top 250/- per sqft. 6. Edge Bending 270/- per sqft. 7. SS- 202 top 250/- per sqft. Price as per photo.Table stand SS 202.Table Top choosen by you.1.Granite top 170 per sqft,2.18mm Plywood top 190/- per sqft.3. 36mm plywood top 240/- per sqft. 4. 12mm glass Top170/- per sq ft. 5. Pine wood top 250/- per sqft. 6. Edge Bending 270/- per sqft. 7. SS- 202 top 250/- per sqft. Table Height Standard2.5ft. 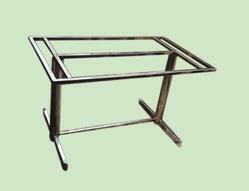 Table stand crome finish.Table Top choosen by you.1.Granite top 170 per sqft,2.18mm Plywood top 190/- per sqft.3. 36mm plywood top 240/- per sqft. 4. 12mm glass Top170/- per sq ft. 5. Pine wood top 250/- per sqft. 6. Edge Bending 270/- per sqft. 7. SS- 202 top 250/- per sqft. 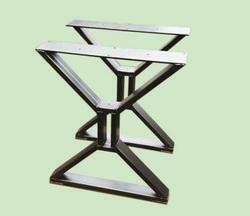 Table stand SS 202.Table Top choosen by you. 7. SS- 202 top 250/- per sqft. Table Height Standard2.5ft.